Monthly planner for the Bass Lake area. Sept. 4: CD re-re-release party, 8 p.m., Funky’s on the Bayou. Live music and unveiling of Local Cover Band’s latest, “Are We Just About Ready to Rock Your Christmas-Labor Day? Yes!” Opening act: Local Cover Band Jr. Cover charge: $3.45. Sept. 8: National Teacher Hangover Day. Sept. 12: College football: Bass Lake University Beaver vs. Stripmall State Retailers, 1 p.m., Vacant Lot Stadium. Bring your own seating. Sept. 12: Annual “Harvest Dinner,” 5 p.m., Bass Lake Inn-Convenience. Sept. 26: Early-autumn dock-overstock giveaway, noon-thirty to 2 p.m., Bass Lake Fish ’n’ Boat. Sept. 28: Post-summer brush collection, 9 a.m.-4 p.m., throughout Bass Lake. 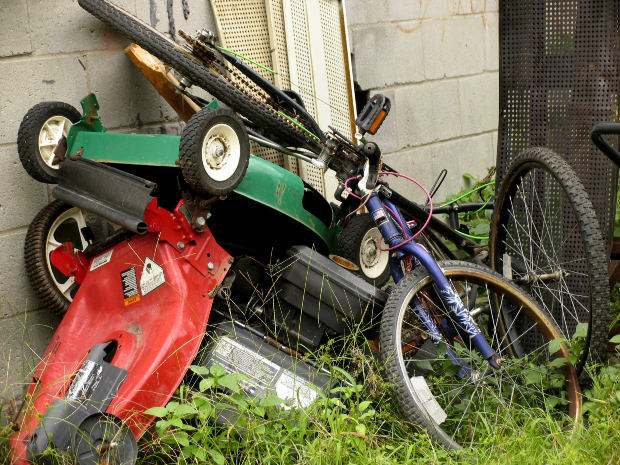 Only summertime yard waste is accepted, according to Bass Lake Utilities and Garbage Collection.